"There's just an incredible amount of loneliness as a mother." camera (Netflix) Catherine Reitman, creator of the Netflix comedy "Workin' Moms," chatted with "Good Morning America" about her new show. Parents have been buzzing about Netflix's hilariously honest series, "Workin' Moms," the binge-worthy comedy that totally nails a mom's post maternity struggles. 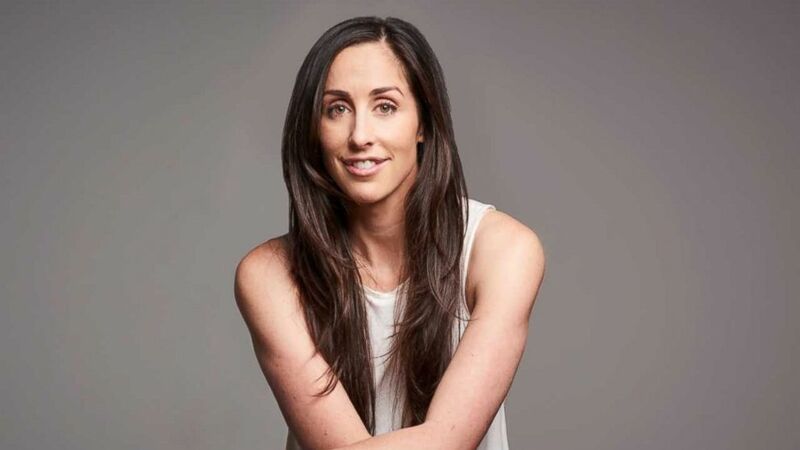 Show runner Catherine Reitman, who also stars in the show, spoke with "Good Morning America" about how her own realities as a mother inspired the series and the overwhelmingly positive feedback she's hearing from viewers around the world. "It knocks me over a little bit," Reitman said. "I wrote this thinking, 'I'm going to expose myself both physically and emotionally.' So, [to hear], 'Oh my God, this is my story' or 'This is my wife's story,' it's really moving. It makes me feel that I'm supposed to be on this voyage." Reitman, a mom of two boys, said she was an actress for over a decade before getting pregnant with her first son. Millenni-mama drama: Is Gen Y postponing parenthood for its own good? We're not like "a regular mom." "This is not my year to run a marathon." Teigen's followers cracked up as Legend celebrated "482 months" of age. 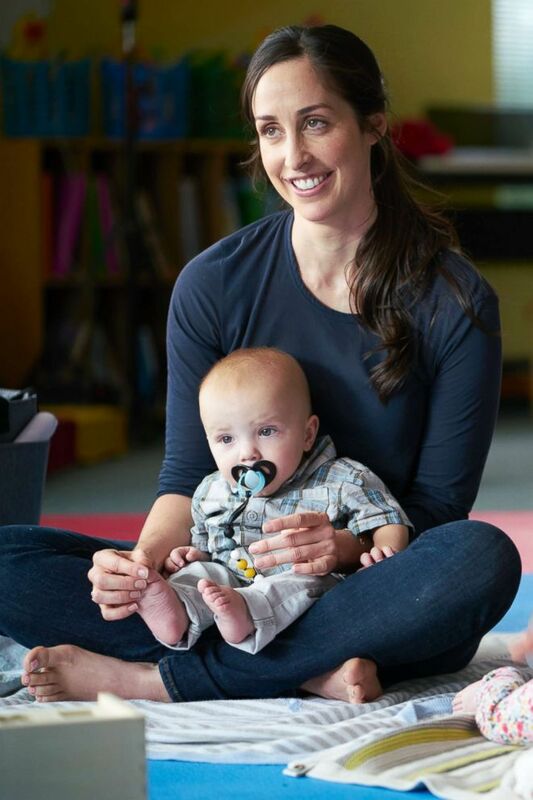 "I went back to work about six weeks after I gave birth which was crazy early and experienced some pretty bad postpartum depression, but didn't know it at the time," she said. "I would be driving, fantasizing that a car would hit me and put me in the hospital. [I thought] I would be in a coma and get taken care of and not have to worry about my responsibilities." Reitman said she had her "ah-ha" moment while filming an indie film in Philly. "I was away from my 6-week-old child, there were all these male comedians on set and they were teasing me," Reitman recalled. "They were saying 'Oh, is the baby calling the nanny mom yet?' I started crying in front of them. They went completely silent. It was awkward and hilarious and painful all in one." Reitman shared her experience at work with her husband Philip Sternberg, who stars in and is executive producer on "Workin' Moms." "He said, 'You've got to write this,'" Reitman said. The show is three seasons deep in Canada. The U.S. is currently experiencing season 1 on Netflix. "Workin' Moms" follows four mom friends experiencing life after giving birth. The pilot reveals all-too-relatable moments from pumping in the bathroom, admitting to PPD (postpartum depression) and the nightmare of spilling breast milk. "It represents the battle cry that so many mothers feel whether they're stay at home moms or working--it's a battle to get to be seen as the person we were before we gave birth," Reitman explained. (Netflix) Catherine Reitman, creator of the Netflix comedy "Workin' Moms," also appears in the sitcom as one of the main characters. There's just an incredible amount of loneliness as a mother, all this solitude no one really speaks to. Reitman said all four characters represent what it means to be a woman these days. "Kate is my ambition, Anne is my anger. Frankie is my fear. Jenny is my vanity," she said, adding that the show touches on many points that no one is talking about. "There's just an incredible amount of loneliness as a mother, all this solitude no one really speaks to," Reitman said. "There's an identity crises -- a lot of us become mothers and all of a sudden we're expected to become these selfless people. That's not a really natural process. That, for me, never felt organic." She went on, "Even if you don't have a kid and you're in your 30's and life [is supposed to] look a certain way and it doesn't, that's what we were really trying to showcase." Reitman hopes people can connect to her show on a personal level. As for her female viewers, she has a bit of advice. "They're right to feel crazy because what we're doing is crazy," Reitman said. "The expectations on all of us to be full-time workers but pretend we don't have kids and to be full-time mothers and pretend we don't have a [career] is unrealistic and complicated and to look good while doing it all, it's a feat that not many can pull off." (Netflix) Catherine Reitman, creator of the Netflix comedy "Workin' Moms," chatted with "Good Morning America" about her new show. "Have a lot of compassion for yourself and love for yourself and [try] caring less of what everyone else has to say," she added. "If you can find moments of success then you're ahead of the curve."